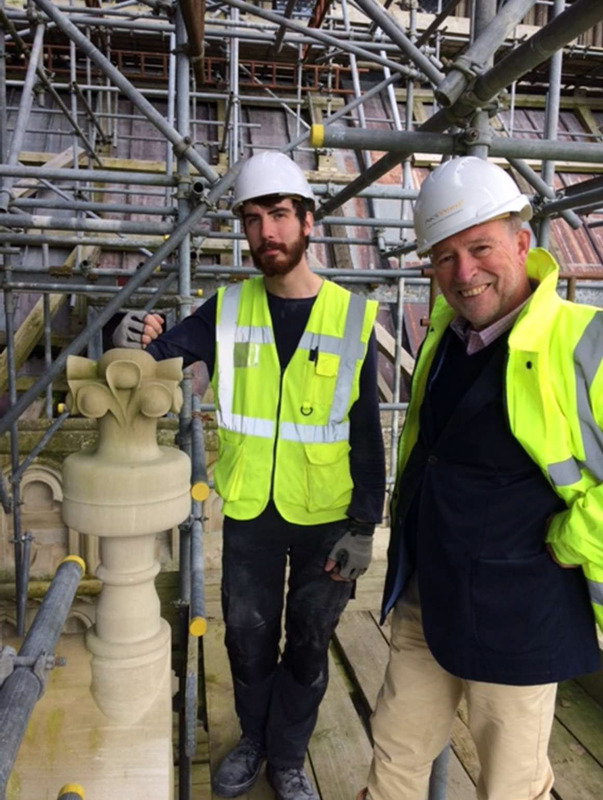 The Master, Tony Ward, inspects a finial that has been carved by Christian Sullivan, and will give 800 years service on the east front of the Cathedral. The Worshipful Company of Constructors recognises the importance of Apprenticeships in developing the artisanal experts of the future. 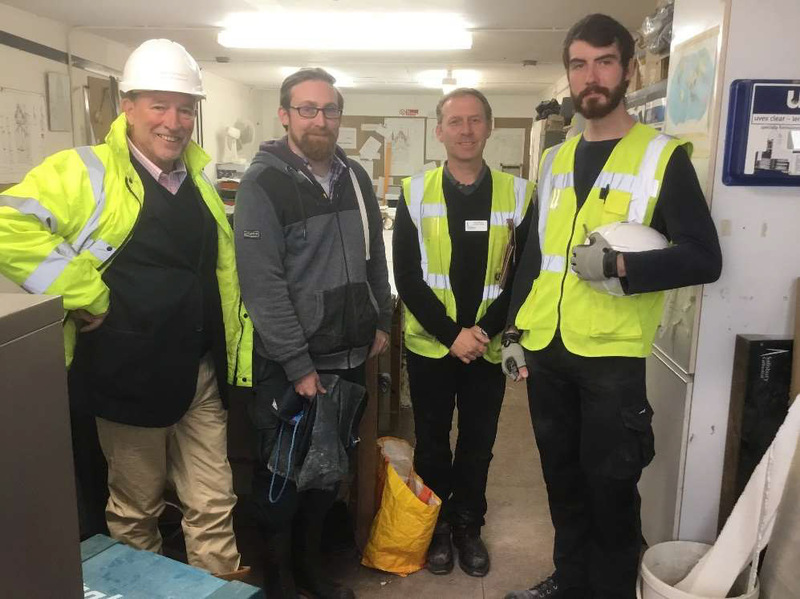 We are particularly pleased to have supported Christian Sullivan, now a journeyman stonemason at Salisbury Cathedral, through his apprenticeship at the Cathedral. The Master, Tony Ward (on the left) with the Master Mason, the Clerk of Works and the journeyman stonemason, Christian Sullivan.